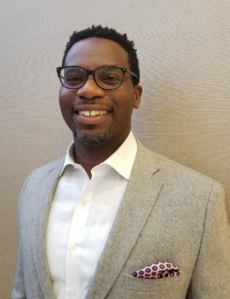 Henry Ansah is a Management Analyst with The Harris County Area Agency on Aging (HCAAA) part of a nationwide network coordinating supportive services for Older Adults in Harris County. Before his election as Chairman Henry served as the Executive Secretary of GHCC. He has served in other leadership positions in the community including President of the Ghana Association of Houston. Henry has a Bachelor of Science in Agriculture and an MBA from Prairie View A & M University. at Texas Southern University in Houston, Texas where he is a lecturer and researcher in the areas of Sport Law, Sport Agency and Negotiations, Athletes and Political Activism as well as International Sport and Sports Tourism. 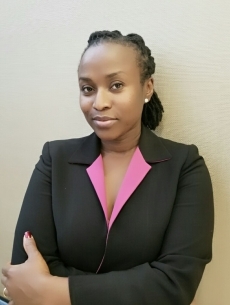 Professor Asare is the founder and president of Houston based sports marketing and management firm Nasare Athletics, Inc. and the technology consulting firm Nasare Enterprises, LLC. 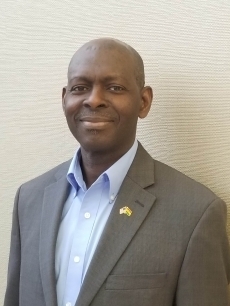 and he is a member of the Board of Directors and the Executive Board at the Ghana Houston Chamber of Commerce and is a member of the 2018 SBA Emerging Leaders Program and Kappa Alpha Psi Fraternity, Inc.
Samuel Amuzu is the President of Swift Health Care, Inc., the parent company of Care and Comfort Home Health. He is currently the Administrator of the home health agency and an Executive Director for Progress In Education, Inc.
His previous experiences include an Administrator for a Medical Clinic, a Manager for a Transportation company and a Marketing Manager for an Export and Import company. Sam graduated from Illinois State University with a Bachelor of Science in Economics and Accounting (Minor), and MBA from University of Houston Clear Lake. Sam is a founding member of the Ghana-Houston Chamber of Commerce and its first Executive Secretary and currently the Executive Treasurer. Solomon Tamakloe is CEO of USA-GHATEX INT.LLC a Consultancy company promoting trade between USA and Ghana and Director of Tamakloe & Co. (GH)LTD: Real Estate Co. in Ghana. Partner in EnergyFundz™ Joint Venture with OceanTech Engineering-(US-GH) for Ghana Energy and Infrastructure Projects. 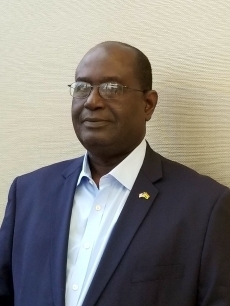 Mr. Tamakloe has been a Corporate Accountant in the Houston area since 1991 working for Oilfied Supply and Service Co., Unocal, IKON Office Solutions and most recently served as Accounting Manager with Ricoh USA. Mr. Tamakloe has held numerous positions in 27 years in Houston as International Business Manager, Accounting Manager & Controller. 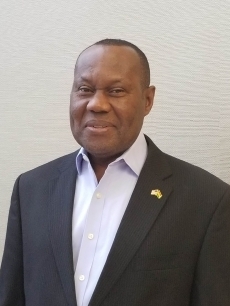 He led the Ghana-Houston Chamber of Commerce from inception in January 2015 through August 2017. 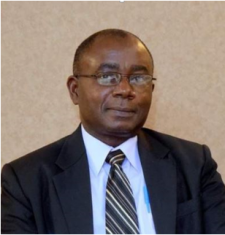 His expertise is in International Business Management specializing in advisory for government affairs and engagement, Corporate Business Strategy Implementation and Organizational Behavior. MBA graduate of the University of Houston-Victoria (2000) and a member Beta Gamma Sigma at Oklahoma State University -Stillwater–1980.